Yes, send me these secrets! I've worked in the world of online marketing since 2004 after graduating from university with a bachelor's degree in Business Administration (Marketing). Since then, I've developed a strong skill set in marketing, business consulting and web development (MBA from University of Missouri – Columbia in 2010, Masters in Marketing from University of Technology Sydney in 2011 and Web Design & Development from TAFE in 2012) , offering to my clients extensive knowledge and analysis on SEO and online marketing, coupled with relevant hands-on experience working on hundreds of challenging case studies and projects. The focus of this blog is on SEO and related internet marketing, with a specific concentration towards SME's. My motto towards online marketing follows the KISS principle, that by keeping it simple can lead to incredible results. I cut through the rhetoric and latest jargon to make SEO and online marketing easier for my readers to understand and implement. Every single blog post that I produce is on a carefully selected topic, relevant and topical to latest in SEO and internet marketing, full of tips and news that you can apply immediately to your business for it to grow and achieve incredible results. These blog posts represent the accumulation of my years' of experience in this industry, and my desire to put them in writing to share them with you to help develop better industry wide SEO practices. So what are you waiting for?!.... Subscribe to my blog now! Looking For Weekly Curated Seo & Online Marketing News? Over the last 12 months we have increased the web traffic by over 100% and also increased the conversion by over 100%. 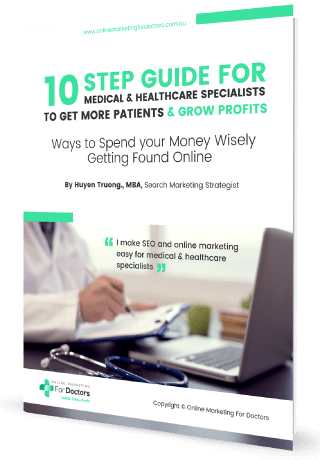 Ever since we started, Online Marketing For Doctors has helped increase the traffic by 400% after 3 months. 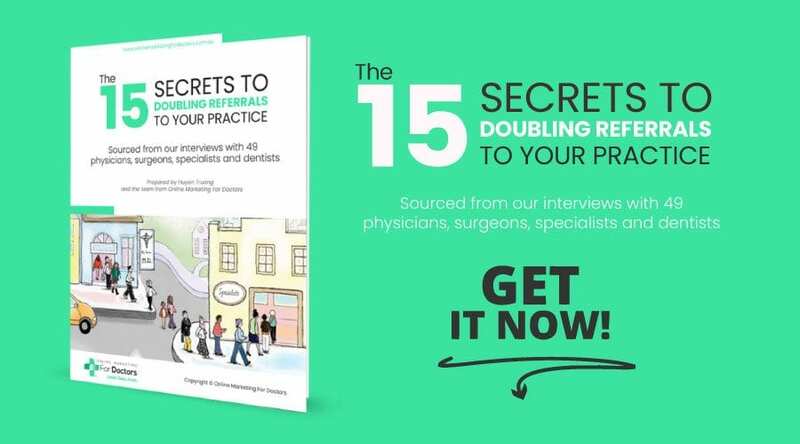 "New clients often comment on the website which is the one of main reasons why they choose our practice. Further to this, the SEO side has gone so well that my business isn’t a year old yet but the website has been appearing on top of the first page for some targeted keywords and that I believe is a great result!...oh yeah, I love working with them!" Gosh I have been so busy, with many new patients. So your work has really been a great success for me. Thank you!! 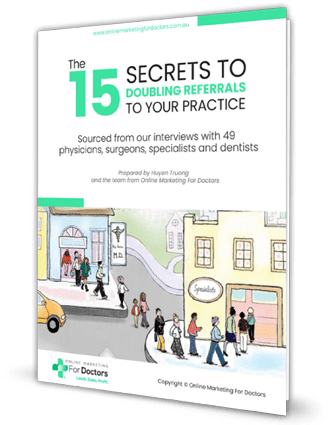 As soon as you get and start applying the techniques in our FREE guide you'll start getting more patients and doubling the number of inquiries you receive daily and all in less than 12 months. Please fill out your details so we can send you our instant quote for our web design and development services.